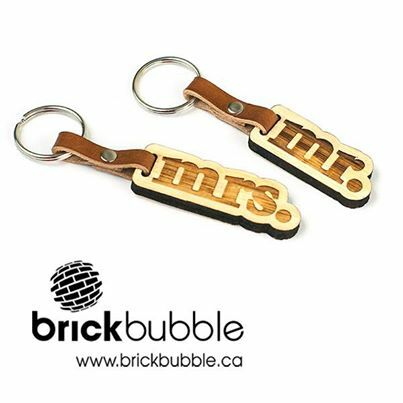 mr. and mrs key tag set is a fun gift for any couple! 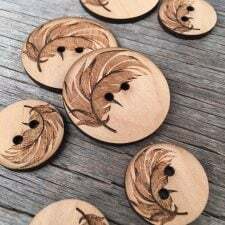 Give this set as an anniversary,Valentine or even wedding gift. We designed this set in our studio and they are laser engraved and cut from .25″ bamboo. 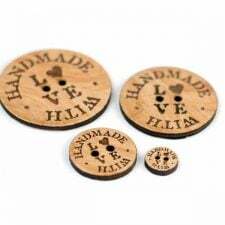 Each key tag is finished off with a brown leather riveted ring extension. 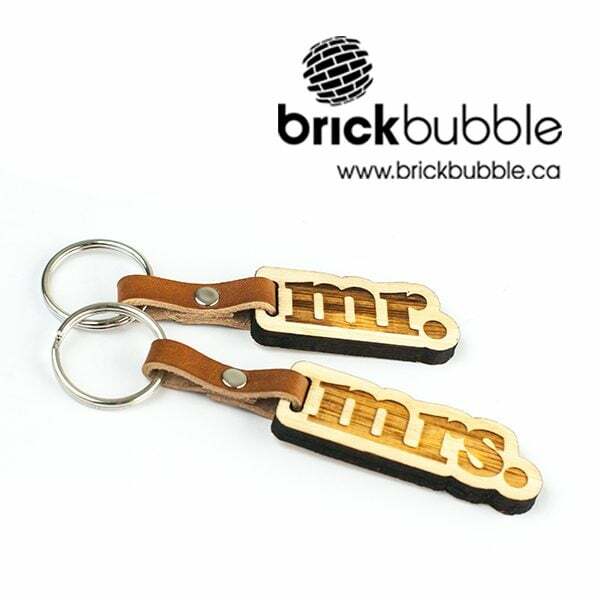 mr. (bamboo area) key tag area measures 2.3 x 1″, mrs. (bamboo area) key tag area measures 2.8 x 1″. Be the first to review “mr. and mrs. key tags” Click here to cancel reply.